With this product you can accumulate up to 100 Glitter Points. 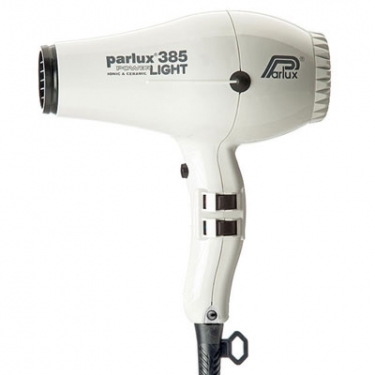 O Parlux 385 Ionic & Ceramic - Power Light White is a profesional an exceptionally lightweight and powerful hairdryer. The ergonomic handle for optimum balance. Extended 3 metre cable for flexibility. Equipped with 2 nozzles for styling or quick drying.